There are many family law firms in New Jersey, but only a handful with the skills, experience and credentials of Newsome O'Donnell, LLC. Our firm is noted for its work in the area of divorce mediation, resolving disputes both as your representative and as court-approved mediator, serving both parties in the breakup. Lynn Newsome and Ed O'Donnell are both certified matrimonial attorneys. Ed is also certified as a family law arbitrator by the American Academy of Matrimonial Lawyers. We are also known for our work in appeals, a level of advocacy requiring profound knowledge of New Jersey family law and decisions relevant to your case. 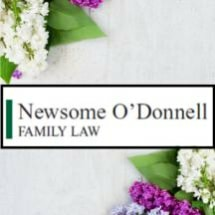 Newsome O'Donnell, LLC, is one of the most respected family law firms serving northern and central New Jersey. To discuss your case, call Newsome O'Donnell, LLC at 973-692-6317, toll free at 800-465-0163. William Stern and Mary Beth Whitehead entered into a surrogacy contract, agreeing to pay Whitehead $10,000 after the child’s birth, on its delivery to him. When she refused to deliver the baby, Stern filed a complaint seeking enforcement.